Four of the six teams that will comprise Team World have already been selected to represent their countries at the 2018 Winter Olympics in Pyeongchang, South Korea, while the fifth and sixth are still candidates to play at the Olympics. Additionally, both the captain and coach — Scotland’s recently retired David Murdoch and Sweden’s Fredrik Lindberg — are former Olympic medal-winners as players. 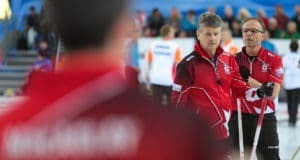 They will bring that star-studded lineup to The Sports Centre at Western Fair District in London in hopes of ending a five-year losing streak to Team North America in curling’s version of the Ryder Cup. 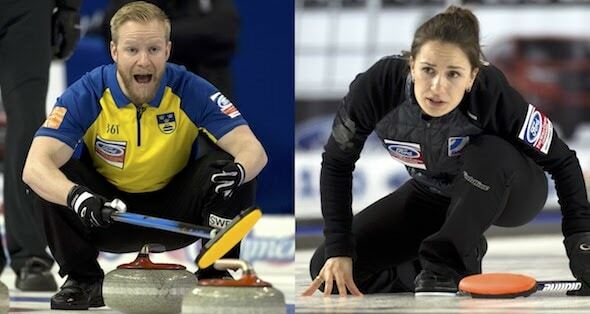 Murdoch and Lindberg will helm a team that includes the current world championship silver-medallists (Niklas Edin of Sweden and Anna Sidorova of Russia), along with the men’s world championship bronze-medallist Peter de Cruz of Switzerland. Those three teams have already been declared their respective country’s Olympic reps, as has Anna Hasselborg of Sweden, who finished fourth at the 2017 World Women’s Championship. 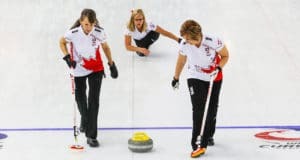 Team World will be rounded out by former world champ and 2010 Olympic silver-medallist Thomas Ulsrud of Norway, who will find out his team’s Olympic fate in September, and Switzerland’s Silvana Tirinzoni, who will participate in the Swiss Women’s Olympic Curling Trials in October. The host Team North America squad will have no shortage of Olympic representatives, meanwhile. Both the Canadian and U.S. Olympic teams (men’s and women’s) will be a part of the squad, which will again be coached by Rick Lang, with his former longtime skip and fellow Thunder Bay, Ont., resident Al Hackner, serving as captain. The Canadian Olympic men’s and women’s four-player teams will be decided at the 2017 Tim Hortons Roar of the Rings, Dec. 2-10 in Ottawa, while the U.S. will decide its Olympic teams at the U.S. Olympic Team Trials, Nov. 11-18 in Omaha, Neb. 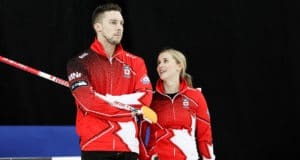 Also part of Team North America will be the reigning Canadian and world championship teams, skipped by Brad Gushue of St. John’s and Rachel Homan of Ottawa. Should those teams also win at the Tim Hortons Roar of the Rings, the runner-up teams at the Tim Hortons Brier (Calgary’s Kevin Koe) and Scotties Tournament of Hearts (Winnipeg’s Michelle Englot) would earn berths in the World Financial Group Continental Cup. Hackner recently was hired by USA Curling to be a part of its High Performance Program coaching staff. Hackner and Lang combined to win world men’s curling championships in 1982 and 1985. Full-event passes for the 2018 World Financial Group Continental Cup are now available. Go to www.curling.ca/2018continentalcup/tickets/ for more information. Previous: 2019 World Junior Championships to be played in Liverpool, N.S.